The Center for Reproductive Rights has filed a lawsuit against the state of Texas arguing that the state’s recent implementation of rules requiring hospitals and other health care facilities bury or cremate fetal tissue is unconstitutional. In July, just days after the Supreme Court struck down Texas’s omnibus abortion bill in Hellerstedt, health officials introduced the new regulations. The Texas Tribune reported that the burial requirement was proposed at the behest of Governor Greg Abbott. In a fundraising email, Abbott told supporters that the new rule was necessary because he doesn’t believe that fetal tissue should be “treated like medical waste and disposed of in landfills.” The regulation was adopted by the Department of State Health Services (DSHS) in November and is set to go into effect on December 19, 2016. 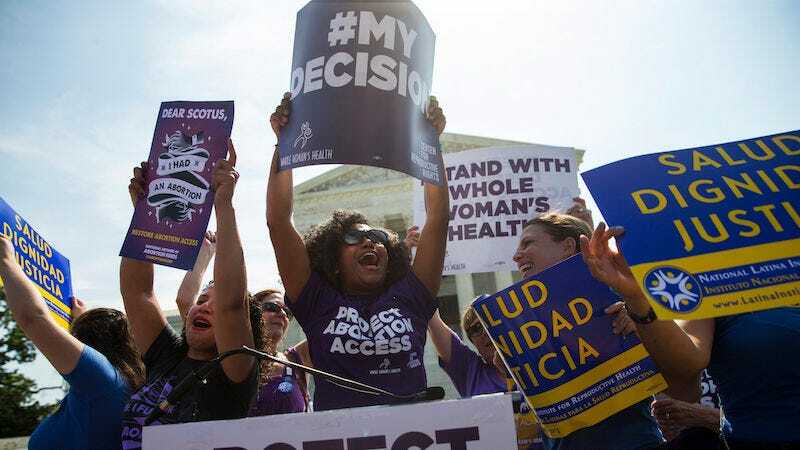 Women’s health advocates have long maintained that Texas’s rules, as well as similar laws in states like Indiana, have no medical purpose and are implemented solely to hinder the work of abortion clinics. Indeed, Texas’s rule has no exceptions for miscarriages and no gestational time limits. The only exception is for abortions or miscarriages that occur at home. The Regulation was first published in the Texas Register just four days after the United States Supreme Court struck down two provisions of another Texas anti-abortion law, House Bill 2 of 2013 (“HB 2”). Whole Woman’s Health v. Hellerstedt. The Regulation employs precisely the same tactics as did the admitting-privileges requirement struck down in that case—compelling abortion providers to maintain a fragile, medically unnecessary third-party relationship. The Regulation functions as the Department of State Health Services’ (“DSHS”) replacement for HB 2, and its response to Plaintiffs’ Supreme Court victory. Like HB 2, the Regulation burdens women seeking pregnancy-related medical care. It imposes a funeral ritual on women who have a miscarriage management procedure, ectopic pregnancy surgery, or an abortion. Further, it threatens women’s health and safety by providing no safe harbor for sending tissue to pathology or crime labs. It also forces healthcare providers to work with an extremely limited number of third-party vendors for burial or scattering ashes, threatening abortion clinics’ provision of care and their long-term ability to remain open, as well as cost increases for women seeking pregnancy-related medical care. Texas, it seems, continues to find innovative ways to target reproductive rights. In addition to the state’s burial regulations, state Representative Byron Cook has filed a bill that would effectively put these regulations into law. In addition, a bill to ban abortion after 20 weeks has also been introduced for the 2017 legislative session.